Whether you’re shopping for an Illinois State alum or a student, a sports fan or an arts aficionado, a music buff or your boss, there’s a perfect Redbird gift for everyone. Welcome to the second annual STATEside holiday shopping guide. There are lots of new Illinois State products to choose from this year, including those from our new Redbird Vintage line. And if you’re still looking for inspiration, check out last year’s shopping guide, the Top 10 Gifts for the Redbird In Your Life. 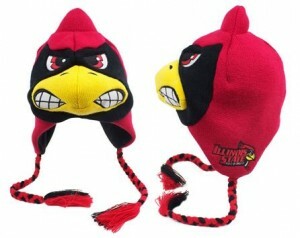 And for even more holiday shopping ideas, explore Illinois State’s Gear Up board on Pinterest. Who wouldn’t love a Thumbs-Up Reggie T-shirt this holiday season? 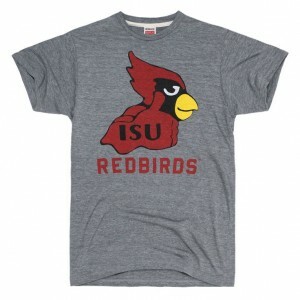 These comfy T-shirts (men’s and women’s) from Homage are new this year, part of the Redbird Vintage line launch. Also available from Homage: Winter hats, a children’s T-shirt, and even a baby one-piece. 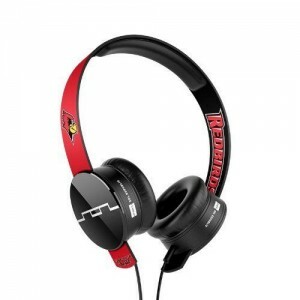 These Illinois State edition headphones from SolRepublic come with SonicSoft speaker pads and are virtually indestructible. They’re also compatible with most Apple, Android, and Windows devices. Free shipping. Who are we kidding? This isn’t just for kids. This fun, cozy Zoozatz hat is fully lined with soft fleece, featuring braided tassels hanging from the earflaps. 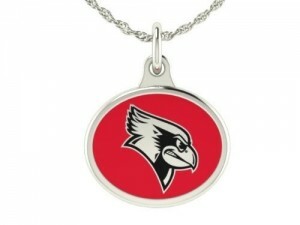 Order online from Von Maur or ask for it in store, or buy at GoRedbirds.com. 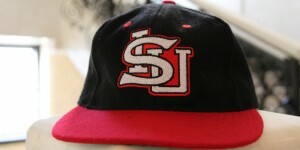 In 1969, the Illinois State baseball team won the only national collegiate sports title in Redbird history. This limited-edition replica hat, created by Ebbets Field Flannels, honors that national championship while also raising money for the local McLean County Museum of History. 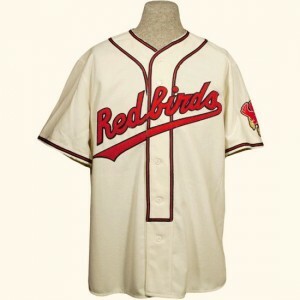 Also available from Ebbets Field Flannels is a replica jersey from the 1969 Redbirds. All Ebbets Field Flannels jerseys are made-to-order, so order early to ensure on-time delivery. In love with the new Hancock Stadium? 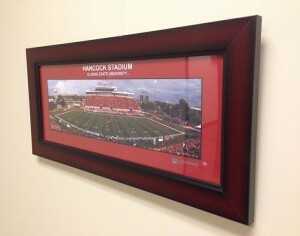 Then show off your Redbird pride by hanging a framed panoramic photo of Hancock in your home or office. Order online from LaPayne Photography. This great collection of Illinois State-inspired prints includes eye-catching designs for your home or office. Plus, Paulson’s kids designs are a perfect way to dress up your Future Redbird’s bedroom. This Illinois State-inspired College Jewelry collection features signature Redbird/Illinois State charms, including earrings, bracelets, and necklaces. You can also order the charms on their own.